I love dressing everyday pieces up so that's what I decided to do with this polka dot top. This Dots Print Loose Chiffon Tank from BlackFive is fantastic for dressing up. I just tucked it in under my skirt and VOILA! 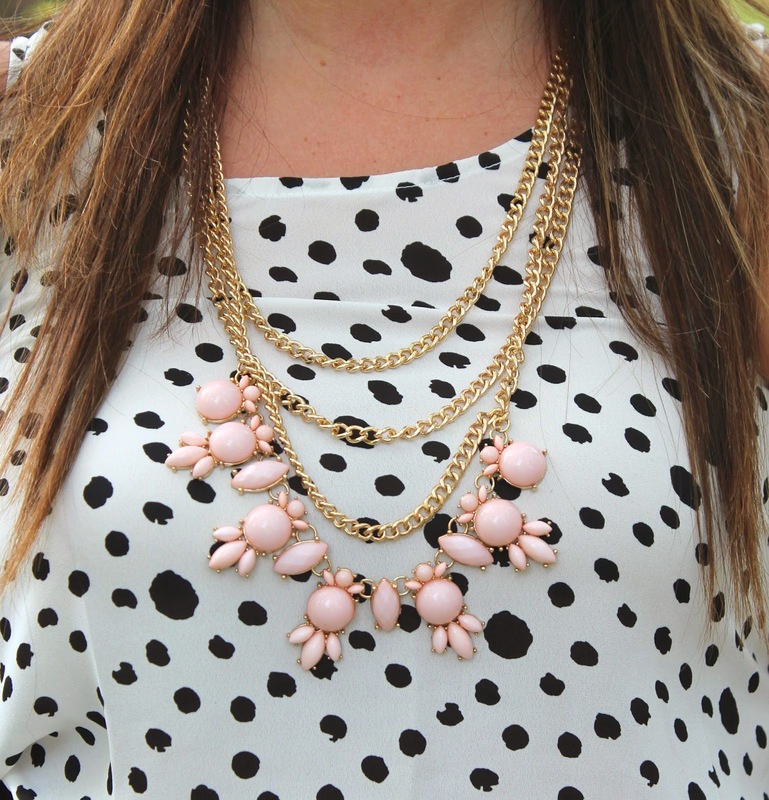 And this Bejeweled Multi-Layered Chains Necklace from BlackFive was the perfect statement piece to complete the look. Dots Print Loose Chiffon Tank - BlackFive; Bejeweled Multi-Layered Chains Necklace - BlackFive; Beau Bag - Kate Spade; Skirt - Marshalls; Shoes - Just Fab. such a prefect outfit for work or going out with friends.